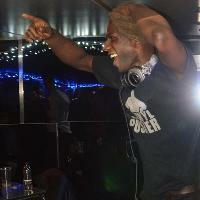 Roachman&apos;s unique style of driving House Music means he has rocked most of London&apos;s top venues including the Legendary Ministry of Sound, The Cross and Turnmills to name a few. Anthony Roach, aka Roachman, was only allowed to play his mum’s records on a Sunday afternoon when he first started out if he was good. These days he has his own studio, is an accomplished engineer, producer and of course DJ. Here are the latest DJ Roachman mixes uploaded to Soundcloud.